My Thoughts: I went into my viewing of Dallas Buyers Club expecting to love Leto’s performance. I was blown away by the manner in which the warmth, softness, and strength he brought to this role exceeded my already high expectations. Leto made Rayon feel like a deeply-flawed but also deeply-lovable person rather than just a stereotype or a saint. From Rayon’s poker-playing introduction to her heartbreaking final meeting with her father, I never felt like I was watching great acting; I felt like I was watching something real. And that’s all I can ever ask for from an actor—to make me believe in the story they’re telling. My Thoughts: Don’t count Jennifer Lawrence out, but I really think the Academy is going to reward Nyong’o for the grounded, quietly strong presence she brought to such a tormented character. There was such controlled desperation in her performance that it was impossible not to get swept up in Patsey’s story even more than Solomon’s. Nyong’o approached this role with a sense of dignity that never felt forced; it came from within. The scene where she begs Solomon to kill her still haunts me even a month after I saw the film. My Thoughts: All of the directors in this category told brilliant stories, but Cuarón created entirely new ways of filmmaking to tell his story. 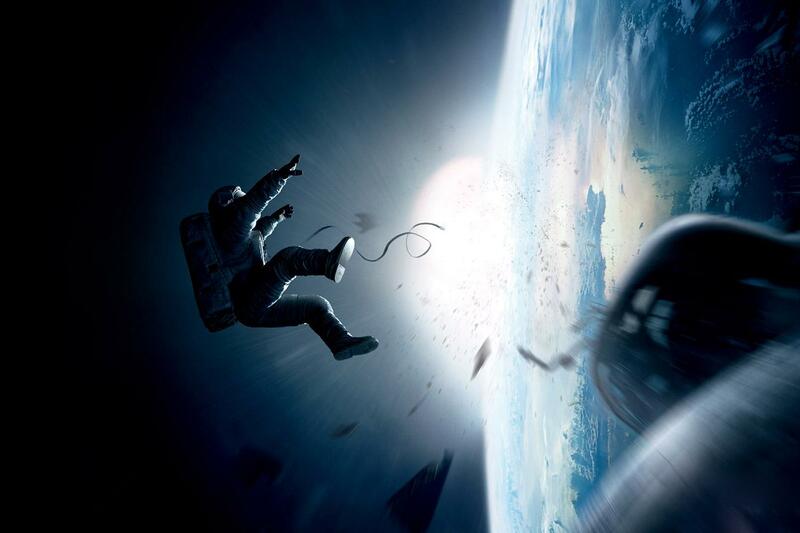 Gravity was technically astounding, but it was directed with a kind of seamless style that allowed you to focus on the story even as you were marveling at its visuals. Such blending of story and style is the hallmark of a great director, and it’s the reason why Cuarón is so deserving of this award. My Thoughts: If the Academy were in the mood to honor the “original” part of “Original Screenplay,” they should give the Oscar to Her without question. Its story was unlike anything else I’ve ever seen, and it was so much more than just the story of a man falling in love with his phone. It was a story of what it means to be human, what it means to connect with a person, and why technology can never really replicate the bonds human beings form with one another. But I have a feeling that the Academy is going to instead to choose to honor the “screenplay” part of this award’s title—aka the film with the most talking and the cleverest dialogue. Besides, there’s no way American Hustle isn’t winning some major award tonight considering the way it’s been honored at other award shows this year. My Thoughts: I am currently in the middle of reading Solomon Northup’s account of his enslavement, and I am impressed with the amount of detail screenwriter John Ridley took right from the pages of the book. He also did a remarkable job of capturing Northup’s internal struggle between holding on to his dignity and pretending to be less than what he was for the sake of his own life. And here’s what the rest of my ballot looks like. This entry was posted in Awards Season, Film and tagged awards season, film, oscars, prediction post by Katie. Bookmark the permalink.